Summer 2013: East Calhoun partnered with local non-profit Metro Blooms on a project to plant 15 rain gardens on private properties throughout the neighborhood. A rain garden is designed and planted to capture rainwater so it can penetrate deep into the soil to help protect and restore water quality. This helps to reduce the amount of storm water runoff that would otherwise take pollutants from the air, our yards, and the streets and carry them into our lakes, rivers, and wetlands. 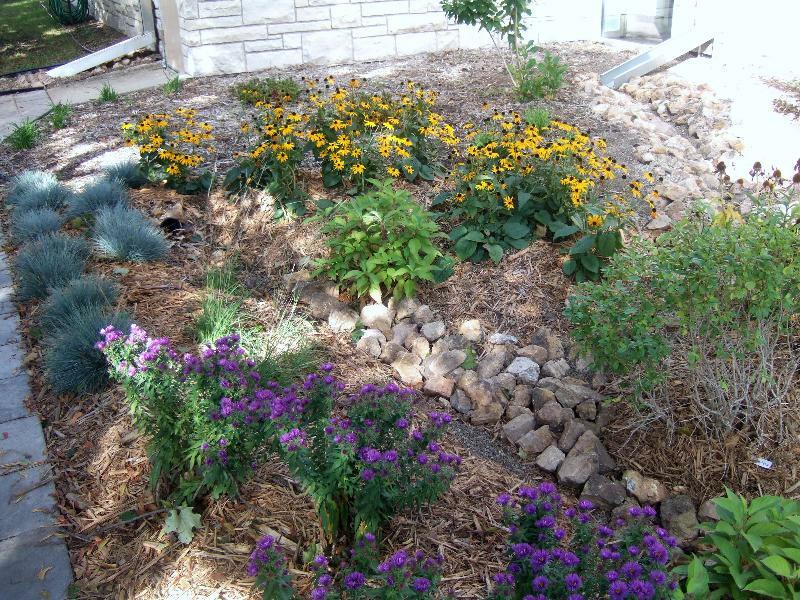 Rain gardens are also a way to beautify your property. Using perennial plants that require little maintenance and can thrive without fertilizer or pesticides, we enhance the value and attractiveness of our neighborhood and community. Look for the East Calhoun Rain Garden signs in the gardens throughout the neighborhood.